There's art, there's science and then there's Kobe Beef. 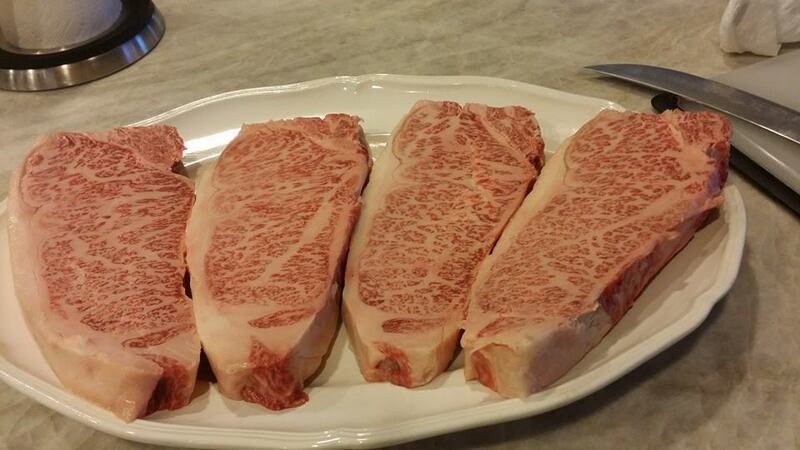 Choose Kobe Beef raised well in Japan. Go ahead; spoil someone you love like yourself. 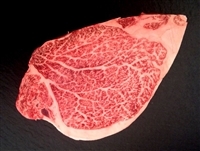 Indulge in these extraordinary steaks whenever you wish to serve the absolute very best from Anshu's 1-800-Kobebeef.Com. "Wonderful meal last night. Bruce says it rivaled anything he's had at Takao (Our gold standard for Kobe). Anshu, you were absolutely correct, this is truly a melt in the mouth experience. One thing (for other at-home chefs): If you are cooking in an open grill pan over gas flame, there is so much fat it will probably ignite (mine did)...just a little drama to go with the experience of a perfect steak. I look forward to ordering more of this wonderful meat after our cholesterol levels settle down. Again, thank you so much. I can't think of a better Christmas gift for my steak-loving husband!" Gwen ...Los Angeles, CA. January 9, 2007. "Anshu, Absolutely Impressed. I had a true, real Kobe-beef first time in US. I now realize how my paid price meant to me. I think beef of this quality could have been sold in Japan over $50/100 gram, which is $over 200/ lbs. This was cooked very good with Bincho-Tan, a special charcoal produced in Japan for a barbeque. This charcoal, produced certain part of western Japan, is very hard and its heat lasts very long. their strong heat allows unnecessary fat to be removed from the beef, dripped down to charcoal, and burn. This in turn creates subtle nice smell at beef above in the grill. Eat just simply with Soy Sauce and Wassabi". Toshi Nakada...Menlo Park, CA.